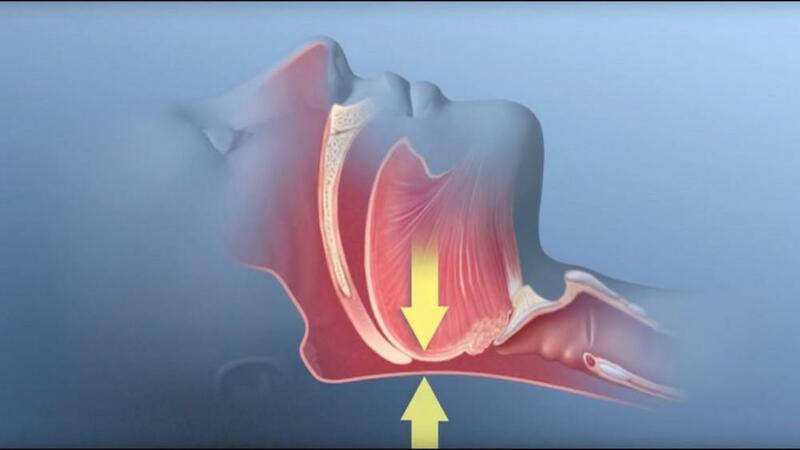 Encino Dental Studio Blog How Can My Dentist Help Me with Snoring? As you and your partner have aged, your bodies have changed. You have more grey hair, some fine lines that weren’t there 10 years ago, perhaps even a softer, more rounded figure. Your comfortable quiet sleep has gone by the wayside too. Ever since last November, you’ve noticed your spouse snoring. Not just quiet snores because of a cold, either, but real, loud, rattle the bed frame kinds of snores. Snores that have awakened your children on more than one occasion. And it’s not just snoring. When you wake up and listen, sometimes it sounds like he’s holding his breath in his sleep, or even choking. It’s time to get some help, but where will you turn? Relief could be as easy as a consultation with our Encino dentist. Most likely, your spouse will need a sleep study: your general practitioner can refer you to the right sleep physician or pulmonologist. These studies can be done in a sleep lab, where hotel style bedrooms are set-up to monitor how your sleep; or it could be completed with an at home sleep study recording, so you can sleep in your own bed at night. Either way, a sleep study will show how much oxygen your spouse is getting overnight, how many times he stops breathing, how long it takes for him to start breathing again, and other biometrics affecting his health. Mild and even moderate cases of sleep apnea can sometimes be managed with an oral sleep appliance instead of a CPAP machine. When you meet with your sleep doctor, find out if an oral sleep appliance is an option to treat your specific type of sleeping disorder. In Encino, the best place to get an oral sleep appliance made is at Encino Dental Studio. Contact Dr. Jamsheed’s office today for a consult about your sleep apnea, and start looking forward to a better, healthier night’s sleep.